South Indian Bank Recruitment 2019 - Job notification for Internal Ombudsman Post in South Indian Bank, Thrissur, Kerala on Contract Basis. Applications are invited by South Indian Bank on or before 22 Feb 2019 for 1 vacancy. 1. Retired or Serving officer not below the rank of DGM or equivalent of Bank/ Financial Sector/ Regulatory Board. 2. 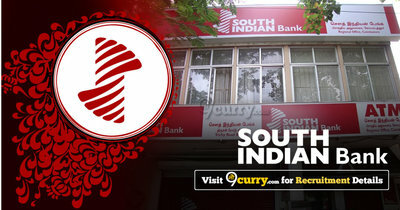 Should not have worked/ working in The South Indian Bank Ltd. The selection will be on the basis of Personal Interview. 1. X/ SSLC certificate/ mark list. 8. PAN & Address Proof.